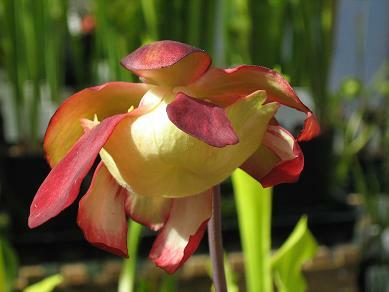 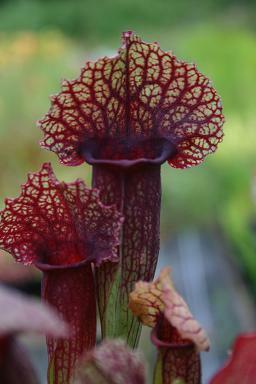 A tissue cultured hybrid that I got from Wisley, but it was distributed by Carniflora. 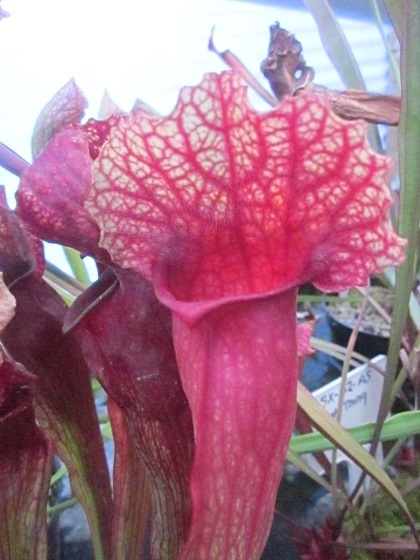 I like the deep colour and the large flat hood with a crinkled margin. 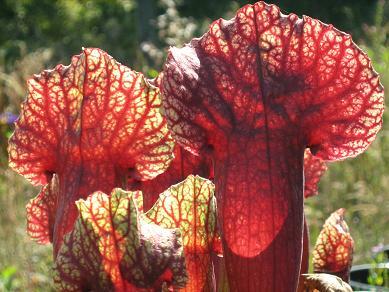 It has been a vigorous and spectacular plant.